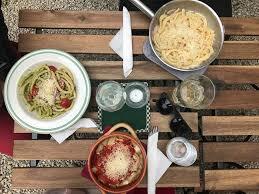 Tiny Italian restaurant with home-made food and quality wine. According to local artist ef. 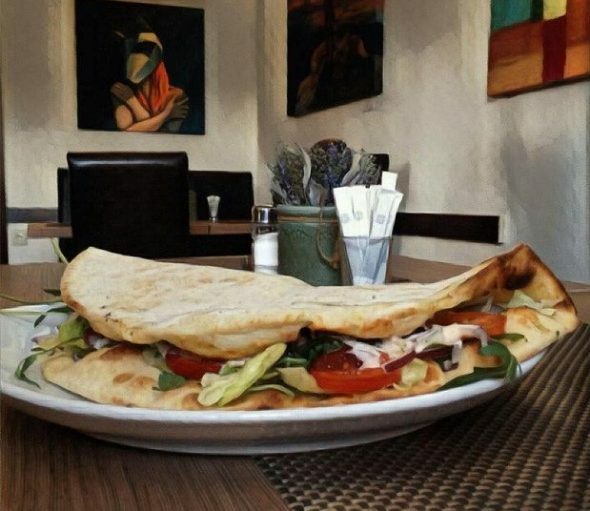 Zámbó Öcsi, the first lángos in Szentendre was sold in Török (Turkish) köz through a narrow opening in a doorway and it cost less than a penny at the time. 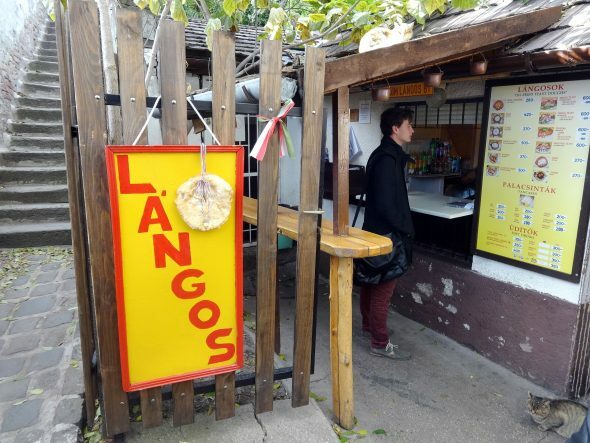 Luckily, the method of frying lángos has not changed since then: the dough of the traditional Hungarian lángos is kneaded by hand and it is deep fried in fresh 190° oil. It is topped with garlic, sour cream or grated cheese. 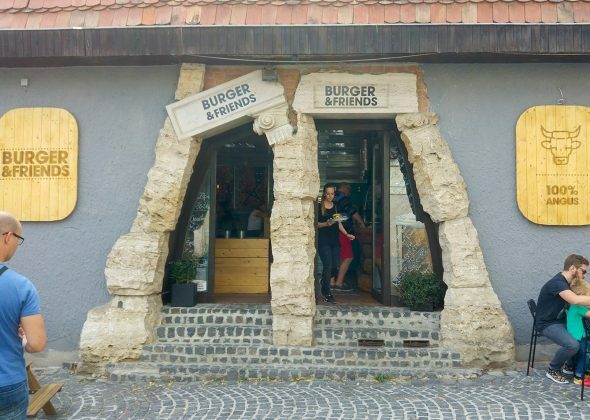 It was Hungary’s first private restaurant and is still considered groundbreaking in the local food scene. The name refers to Saint George, the patron saint of Serbs and the dragon legend. 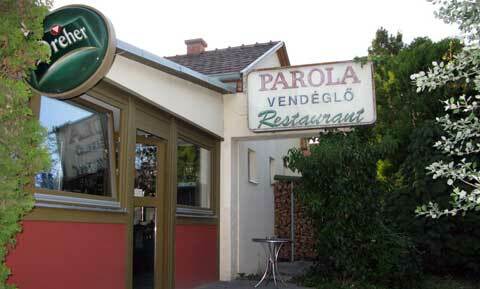 Nothing has changed in the restaurant since it was opened in 1977 and the food is prepared in an open kitchen. 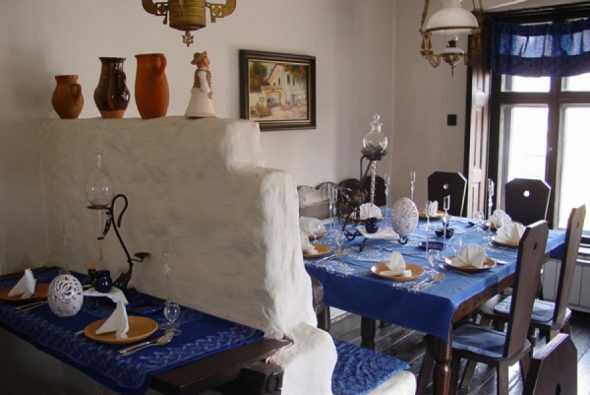 The menu consists mainly of a combination of traditional Hungarian dishes and the specialities of the house. 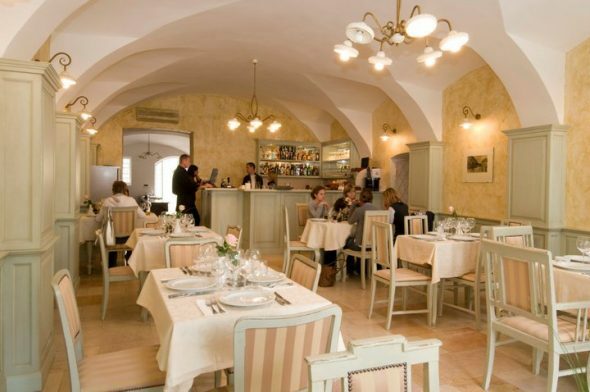 Located in a historic monument building built in 1734, the restaurant is an ideal setting to enjoy traditional Hungarian gastronomy. 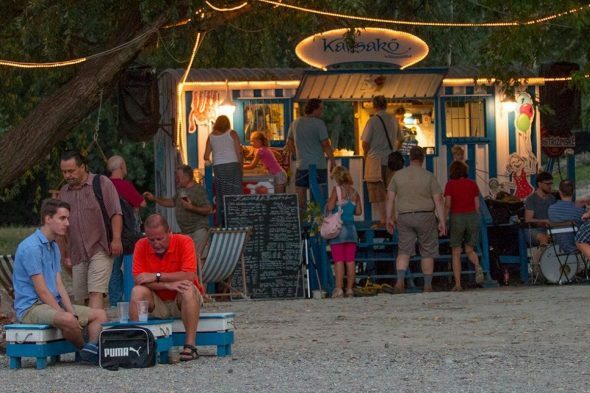 In addition, folklore programmes, gypsy music and genuine Hungarian hospitality await visitors. What’s the secret of a goof hamburger? 100% fresh ANGUS steak, crunchy bacon from Spain, home-made bread roll without additives and artificial flavours and fresh vegetables. Cheese and sauces made from excellent ingredients. The double burger with a genuine steak flavour is for true hamburger aficionados. We also have vegetarian burgers and desserts. We offer genuine fast food because we know that time is money. Come and try! You are welcome to try our al lá carte selection or join in the buffet dinner (when available). 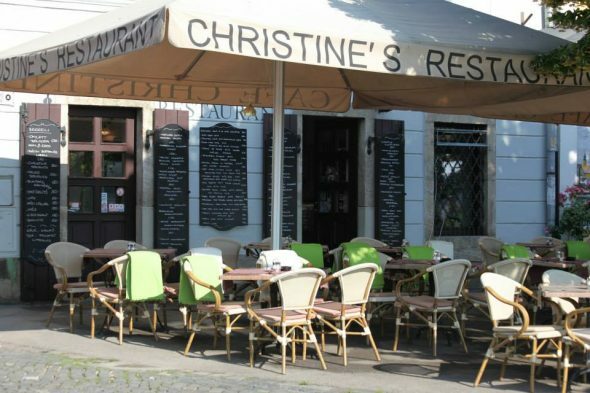 Located by the Danube in one of the oldest buildings of Szentendre, Christine Café & Restaurant is open from 8 AM every day. We serve breakfast, lunch and dinner but you can also taste one of coffee specialities. Our terrace, which is covered in winter, has a nice view of the Danube. 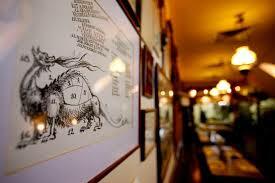 We serve traditional Hungarian as well as French and international dishes. 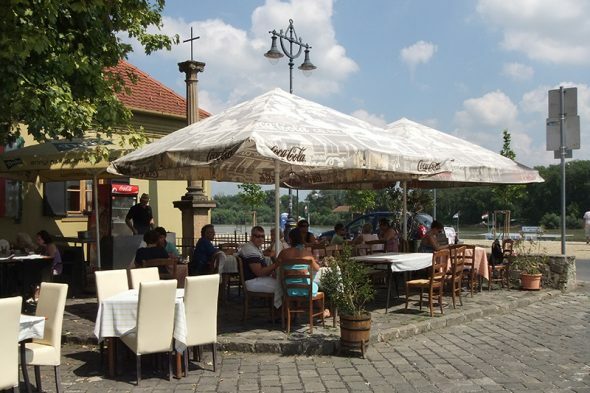 Corner Serbian Restaurant is a small place opened 14 years ago on the beautifully refurbished Danube bank in Szentendre. In addition to traditional Hungarian dishes, we serve Serb specialities. 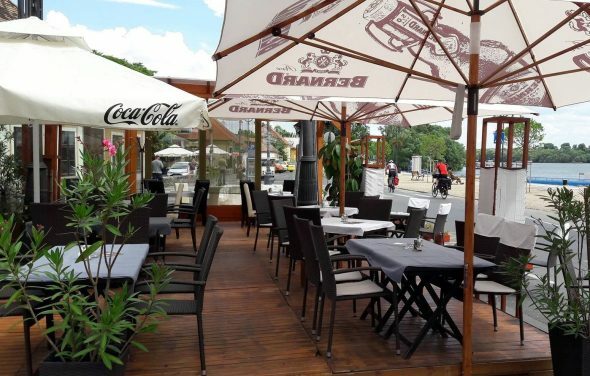 While sitting on the terrace and enjoying the unique waterfront, you can savour our delicious dishes and the restaurant’s own brewed brandy. 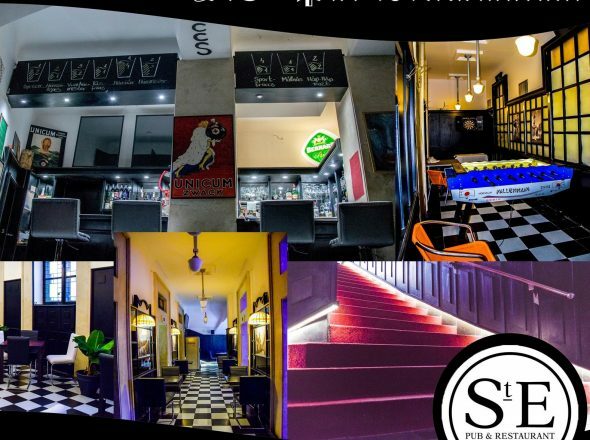 A pleasant bar with food specialities, it’s an ideal venue for birthday parties and meetings as well. 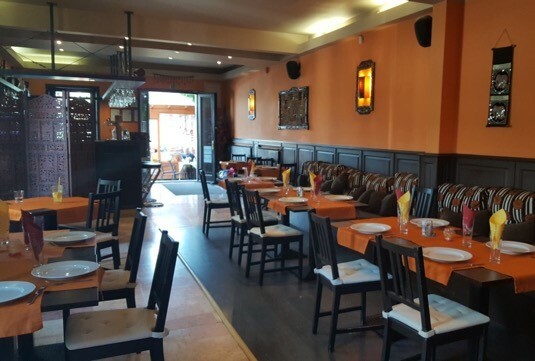 The restaurant has a pleasant Mediterranean atmosphere with high quality service and a unique choice of Hungarian and international cuisine. You can choose from dishes made in the Mediterranean barbecue on the terrace from early spring till late autumn or try our wide daily offer. 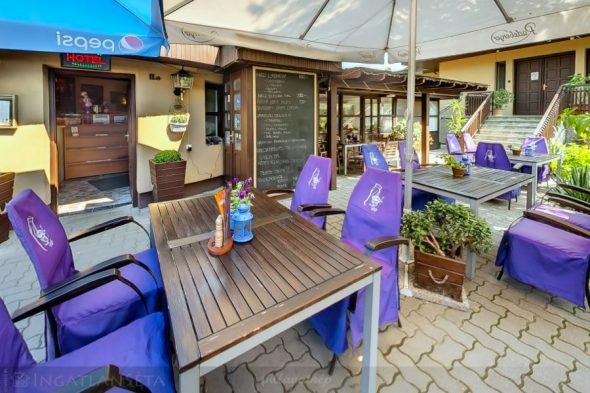 Located on the Main Square of Szentendre, the café-restaurant offers a wide variety of Hungarian, roasted and international dishes. The two function rooms (the larger one with air conditioning), the pleasant street terrace, the old arched gateway and the Mediterranean-style garden are ideal for small receptions, family reunions and company events (lunches, dinners, trainings). 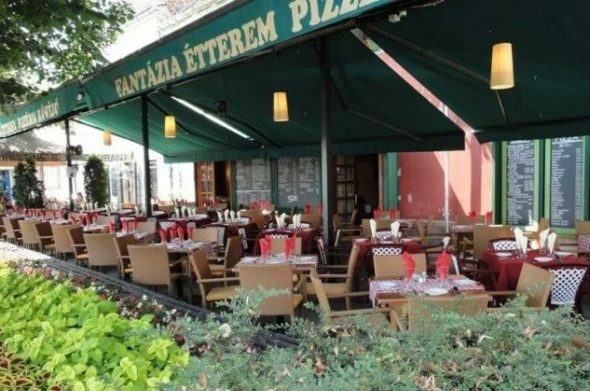 Address: Fő tér 17.| This restaurant is on the Main Square. 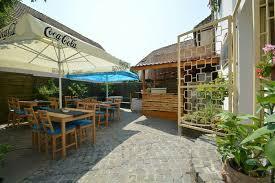 Founded in 1962, the restaurant offers authentic Greek and Mediterranean cuisine. The terrace, which is covered in the winter overlooks the Danube. 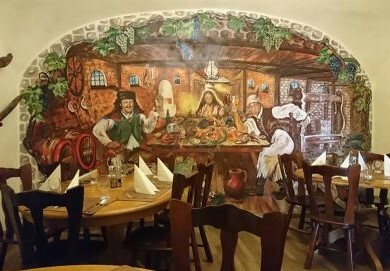 The signboard and the interior décor is the work of Szentendre painter, Imre Szánthó. 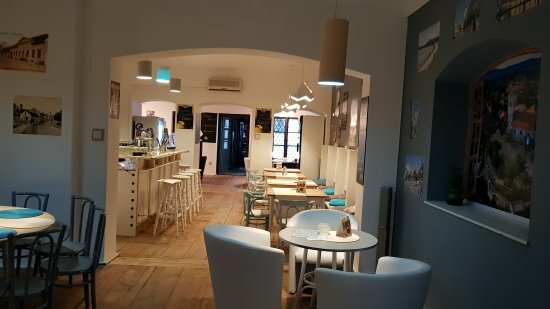 A unique Bulgarian restaurant in Hungary right above the cellars of the former tithe collection house in the centre of Szentendre. 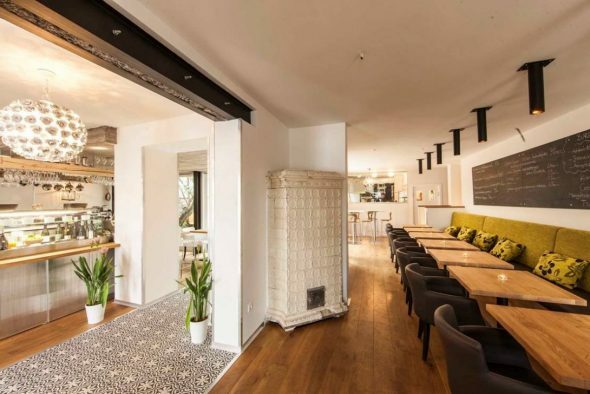 The restaurant is one of the most exciting culinary spots in the region and is an ideal choice for a family lunch, a romantic dinner, business meetings and reunions of friends. 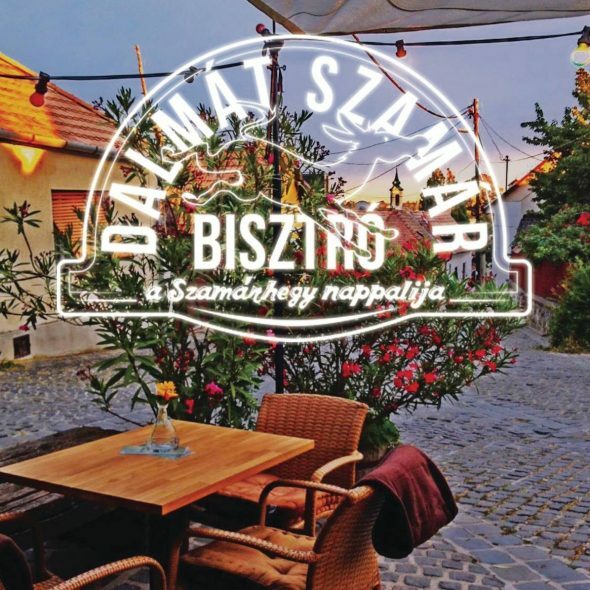 Located in a picturesque setting on the Danube bank right at the border of Szentendre and the neighbouring village of Leányfalu, the restaurant has a terrace overlooking the Danube and rooms where you can enjoy a choice of world famous Hungarian dishes. Hamburgers, hot-dogs, sandwiches and artisanal bakery products made from organic ingredients. Whether you are a guest at our hotel or just want to try our culinary delight we encourage you to taste our delicious dishes. Children are made to feel welcome with a play corner and sand box in the summer. 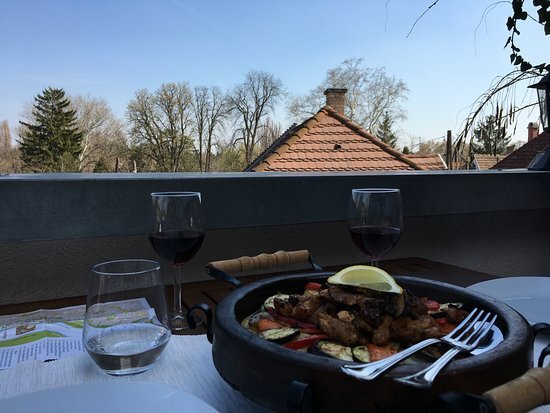 Our pleasant summer terrace offers romantic dining options next to the hotel garden ponds and we provide a wide range of Hungarian and international cuisine to our guests. 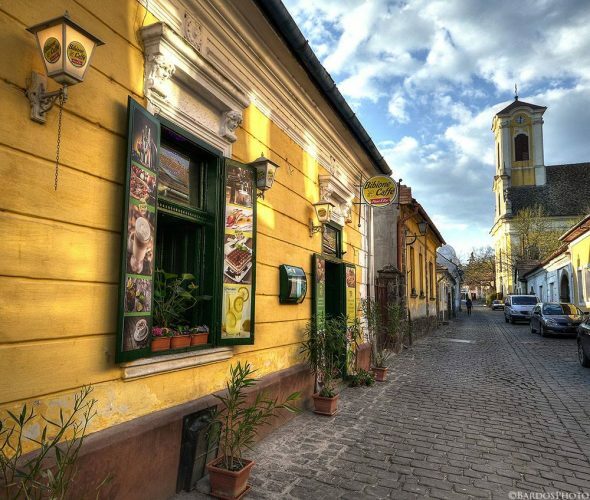 Szentendre, Dunakanyar (Danube Bend) region, Hungary; This photo can be found here on the Panadea website. 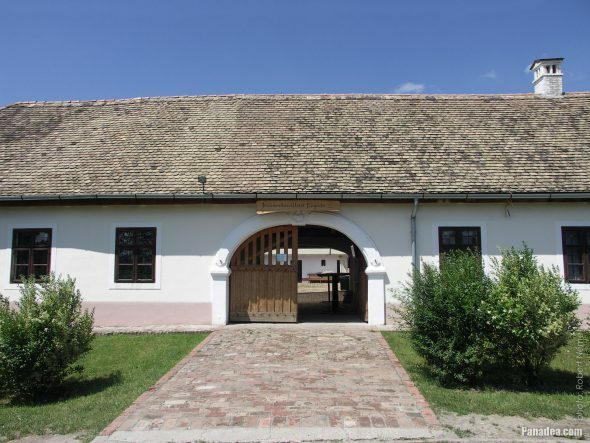 The restaurant is in the precincts of the Open Air Ethnographic Museum (Skanzen) and it is a genuine replica of the former inn in the town of Jászárokszállás. 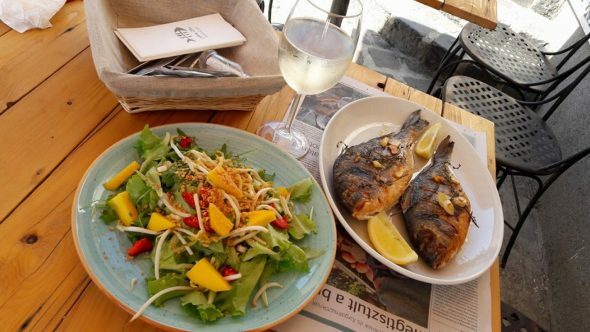 The daily changing menu gives a taste of traditional Hungarian gastronomy. Address: Fő tér 2-5. 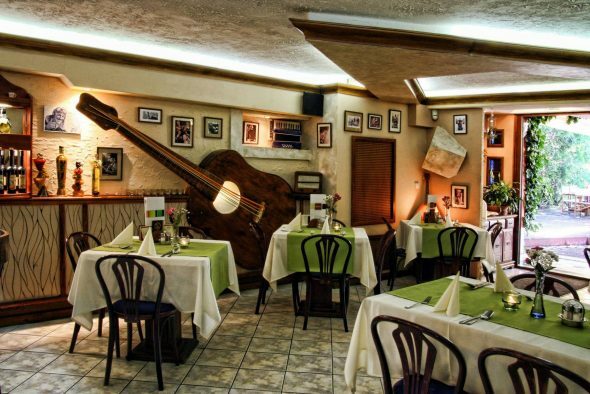 | This restaurant is on the Main Square. Despite successive refurbishments the restaurant has preserved its rustic and nostalgic atmosphere for more than 200 years. The terrace overlooking the Main Square, the garden and the interior rooms are open every day all the year round. 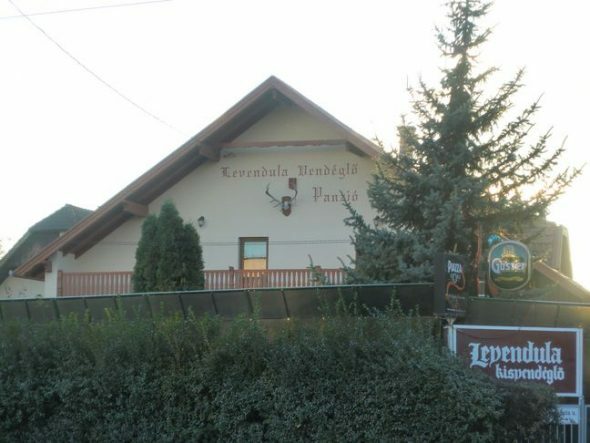 Address: Fő tér 18-19. 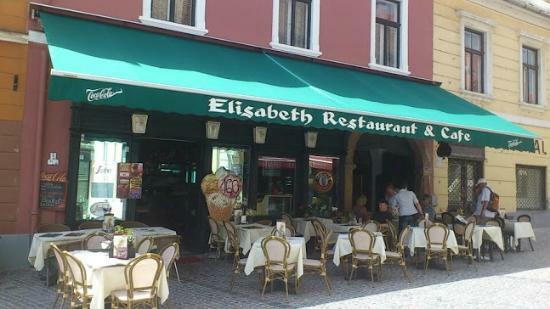 | This restaurant is on the Main Square. 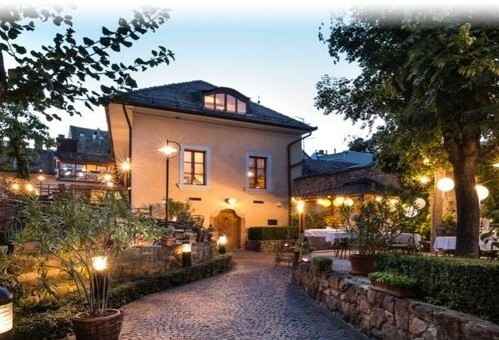 In a promenade with antique atmosphere in Szentendre the National Wine Museum and Labyrinth Restaurant is awaiting its guests, with a capacity of seating 150 people. 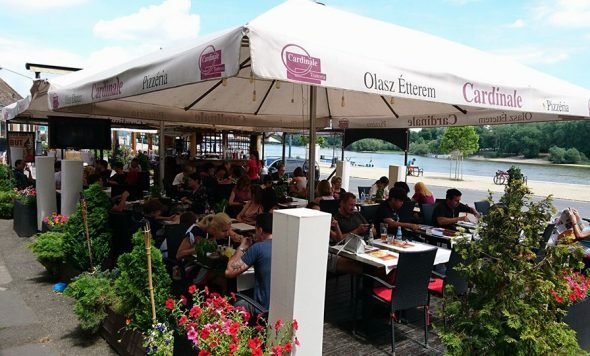 Thanks to the unique mobile dam in Szentendre, guests can enjoy a beautiful view of the Danube from the terrace of the restaurant all year round. The restaurant has a capacity for 60 people and the well-trained staff makes sure that guests receive a perfect service. 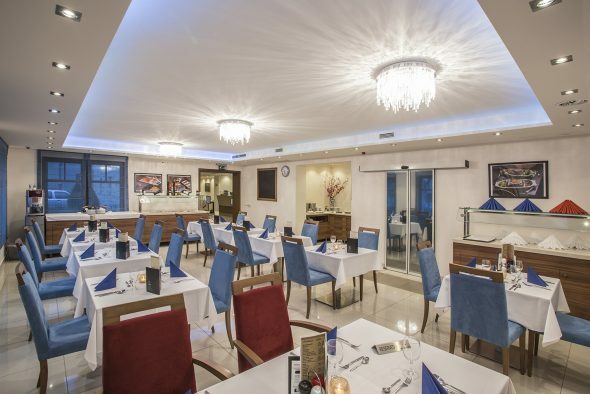 True to its name, the restaurant offers exotic and exciting dishes, the masterpieces of Indian cuisine at a reasonable price in a homely atmosphere. Artisanal hamburgers, sandwiches, fresh mayonnaise salads, specially seasoned chicken, children’s and family menus. 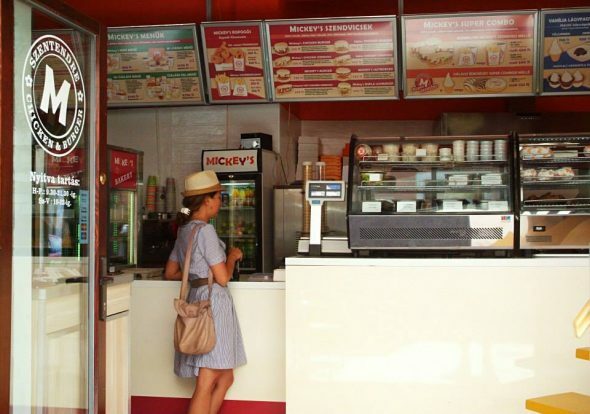 Sandwiches from less than €1 and menus from €1.5. Garden area open from spring to autumn. 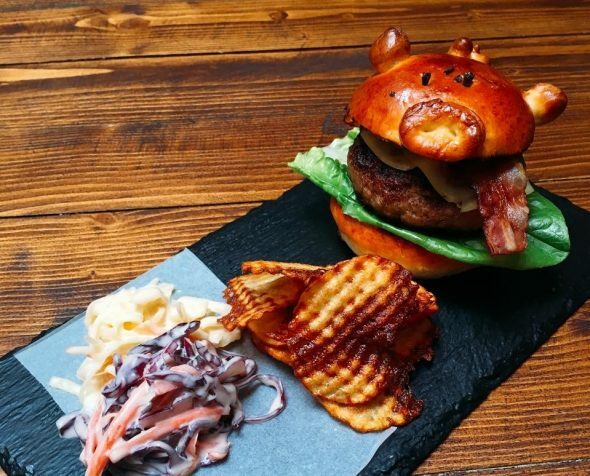 Artisanal hamburgers and sandwiches made from 100% meat at the best price. 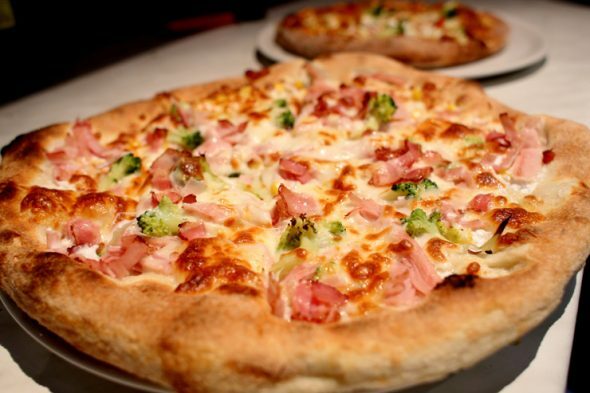 Family and student menus, ice-creams and more at a reasonable price. Mjam, mjam, yummy. Can I have more? 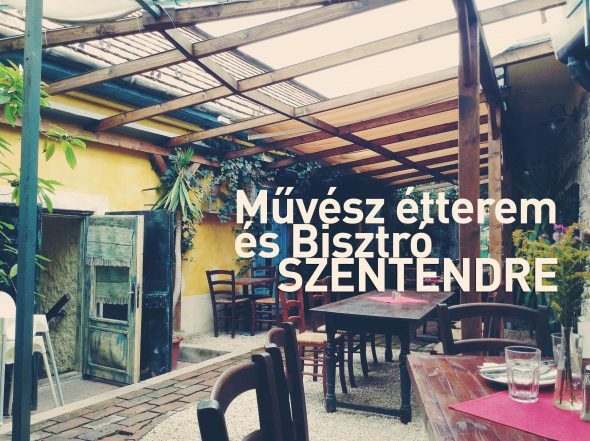 These are the words that inspired the name of our restaurant, which is located in the picturesque Town Hall Square in the heart of Szentendre. 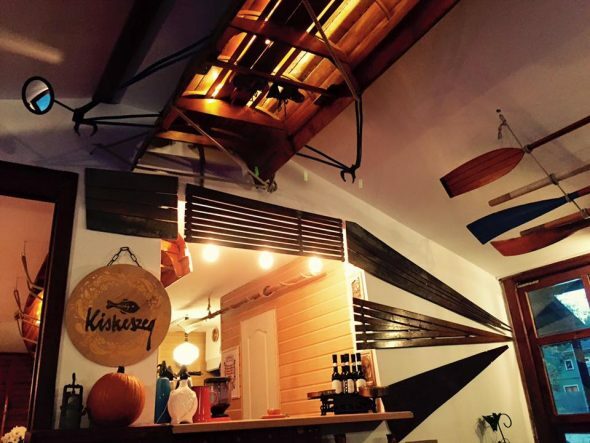 The interior is fully our design and we serve a combination of European, Caribbean and Asian fusion cuisine. Our family business awaits guests with a daily changing menu. 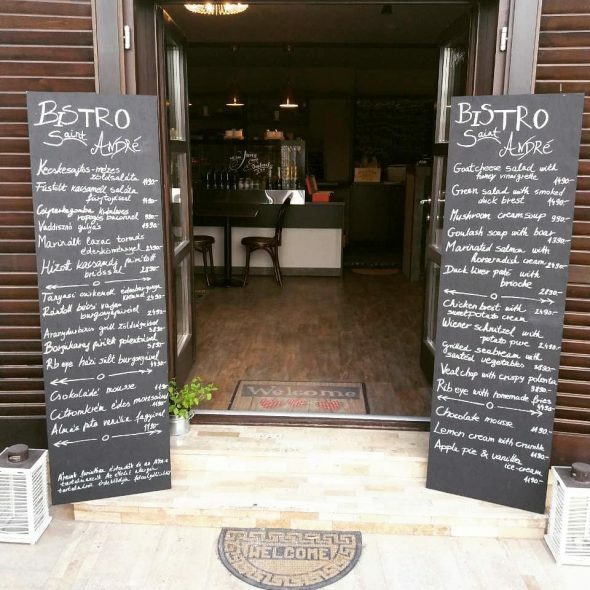 The archaic exterior, middle-class interior and the Mediterranean inner courtyard is one of the locals’ favourite haunts. 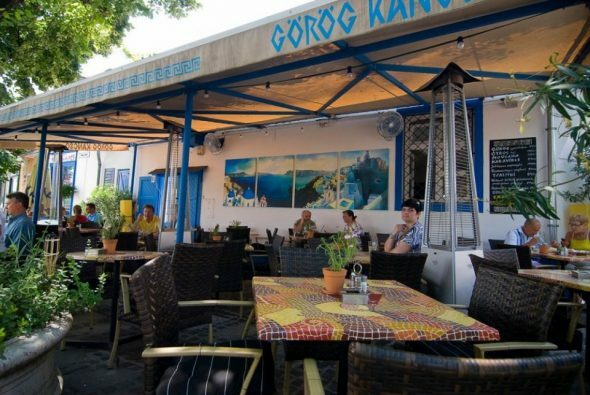 The cuisine is Hungarian with traditional, contemporary specialities and the chef’s recommendations completed with seasonal offers of fruits, vegetables and meat. 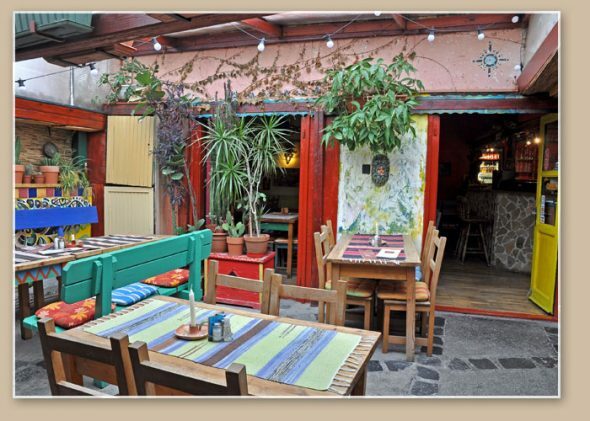 Authentic Mexican atmosphere in the centre of Szentendre. 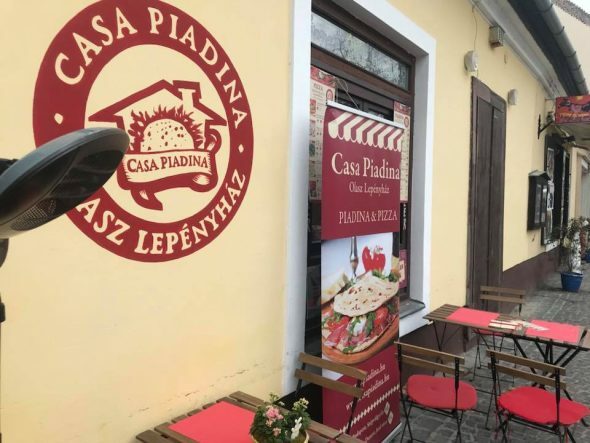 The restaurant opened in 1985 in the Izbég district of Szentendre and is still run by the original owner and his family. 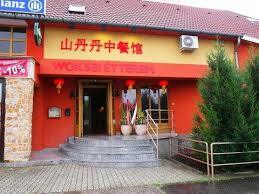 It is a traditional restaurant with home-made dishes and a friendly service. Our restaurant is in the centre of this wonderful historical town. 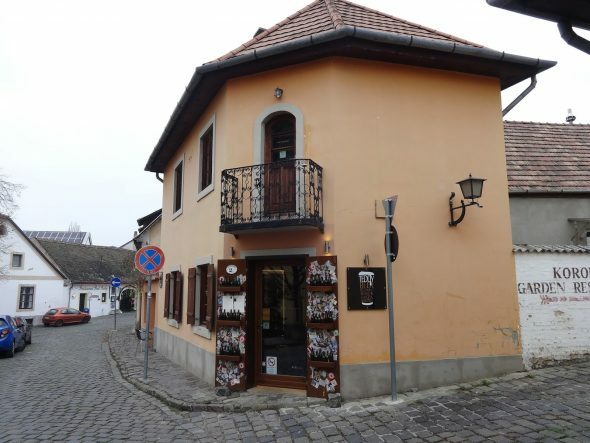 Since 1753 the building has stood in the heart of Szentendre not far from the Main Square. 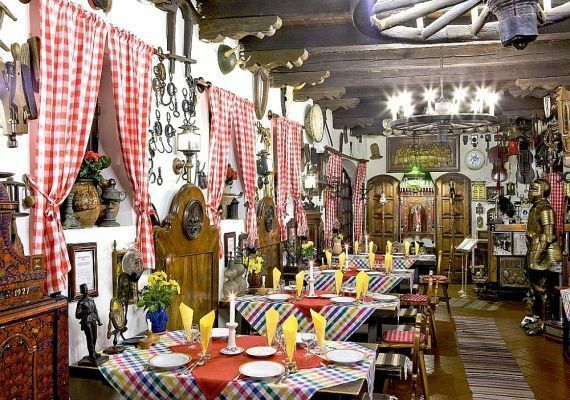 The cellar of our restaurant dates back to 1600. Visitors are enthralled by the proximity of the river Danube, its promenade, and the magical atmosphere of the place. Hungarian and international specialities are prepared for our guests. 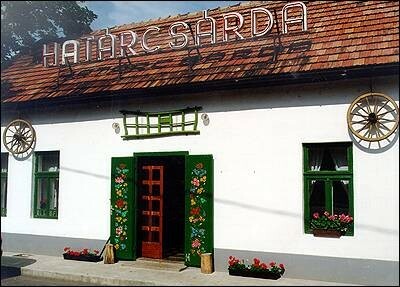 The restaurant was founded by Németh János and his family while the Iron Curtain still existed in 1982. 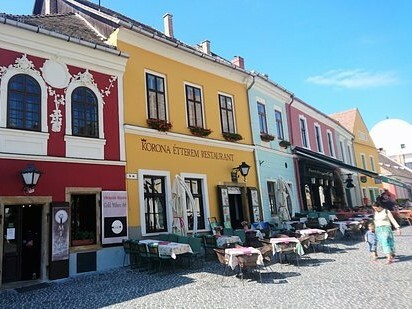 It was named after ’Rab Ráby’, a novel by Jókai Mór, the protagonist of which fought against corruption during the reign of Joseph II and lived in Szentendre. The Hungarian flavours are presented by our chefs according to the recipes of Aunt Teri, which are kept in the owner’s safe. Of course, we also have very old recipes of several Croatian, Serbian and other specialities. 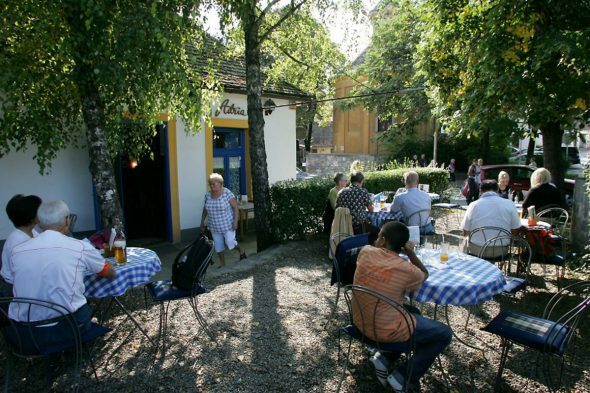 Guests will find a wide array of tastes, colours, natural flavours and finely served beer snacks in this pub in Szentendre. One of our aims is to present Hungarian craft beers.